Miyuki Hatoyama, a former actress and wife of Yukio Hatoyama (nicknamed 'The Alien') who will be sworn in as Japan's prime minister on September 16th 2009 has created a sensation across the world by sharing with the mainstream media her UFO experiences from a book she wrote last year called "Very Strange Things I've Encountered". In the book Miyuki describes her extraterrestrial voyage which took place about 20 years ago. She says that while her body was asleep, she traveled aboard a triangular UFO to the Planet Venus which she describes as a beautiful place which was very green. Miyuki also says that she knows Tom Cruise from one of his previous reincarnations when he was born Japanese. 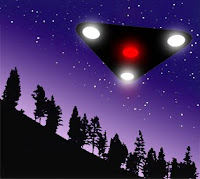 There have been many UFO experiences reported by well known people of our world such as Richard Nixon, Jimmy Carter, Ronald Reagan and wife Nancy Reagan. Two of these Reagan UFO encounters have become public. The first sighting story was made public by Steve Allen on his WNEW-AM radio show in New York. Allen stated that a well know personality in the entertainment industry had confided a UFO story to him many years before. As the story had already made the rounds in the rumor mill, there was no question the comedian and host was referring to Ronald Reagan and his wife Nancy. Ron and Nancy were expected at a casual dinner party with friends in Hollywood. Except for the Reagans, all the guests had arrived. Ron and Nancy showed up a half hour later quite upset. They stated that they had seen a UFO coming down the coast. 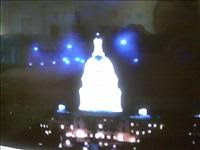 The pilot of Governor Reagan's plane was Bill Paynter, and he backed up Reagan’s version of the incident with the UFO. I was the pilot of the plane when we saw the UFO. Also, on board were Governor Reagan and a couple of his security people. We were flying a Cessna Citation. It was maybe nine or ten o’clock at night. We were near Bakersfield when Governor Reagan and the others called my attention to a big light flying a bit behind the plane. It appeared to be several hundred yards away. It was a fairly steady light until it began to accelerate, then it appeared to elongate. The light took off. It went up at a 45-degree angle - at a high rate of speed. Everyone on the plane was surprised. Governor Reagan expressed amazement. I told the others I didn’t know what it was. The UFO went from a normal cruise speed to a fantastic speed instantly. If you give an airplane power it will accelerate - but not like a hotrod, and that is what this was like. We didn’t file a report on the object because for a long time they considered you a nut if you saw a UFO. One evening in 1969, two years before he became governor of Georgia, Jimmy Carter was preparing to give a speech at a Lions Club meeting. At about 7:15 p.m (EST), one of the guests called his attention to a strange object that was visible about 30 degrees above the horizon to the west of where he was standing. Carter described the object as being bright white and as being about as bright as the moon. It was said to have appeared to have closed in on where he was standing but to have stopped beyond a stand of pine trees some distance from him. The object is then said to have changed color, first to blue, then to red, then back to white, before appearing to recede into the distance. Carter felt that the object was self-luminous, but not a solid in nature. Carter's report indicates that it was witnessed by about ten or twelve other people, and was in view for ten to twelve minutes before it passed out of sight. "There were about twenty of us standing outside of a little restaurant, I believe, a high school lunch room, and a kind of green light appeared in the western sky. This was right after sundown. It got brighter and brighter. And then it eventually disappeared. It didn't have any solid substance to it, it was just a very peculiar-looking light. None of us could understand what it was." "All of a sudden, one of the men looked up and said, 'Look, over in the west!' And there was a bright light in the sky. We all saw it. And then the light, it got closer and closer to us. And then it stopped, I don’t know how far away, but it stopped beyond the pine trees. And all of a sudden it changed color to blue, and then it changed to red, then back to white. And we were trying to figure out what in the world it could be, and then it receded into the distance."